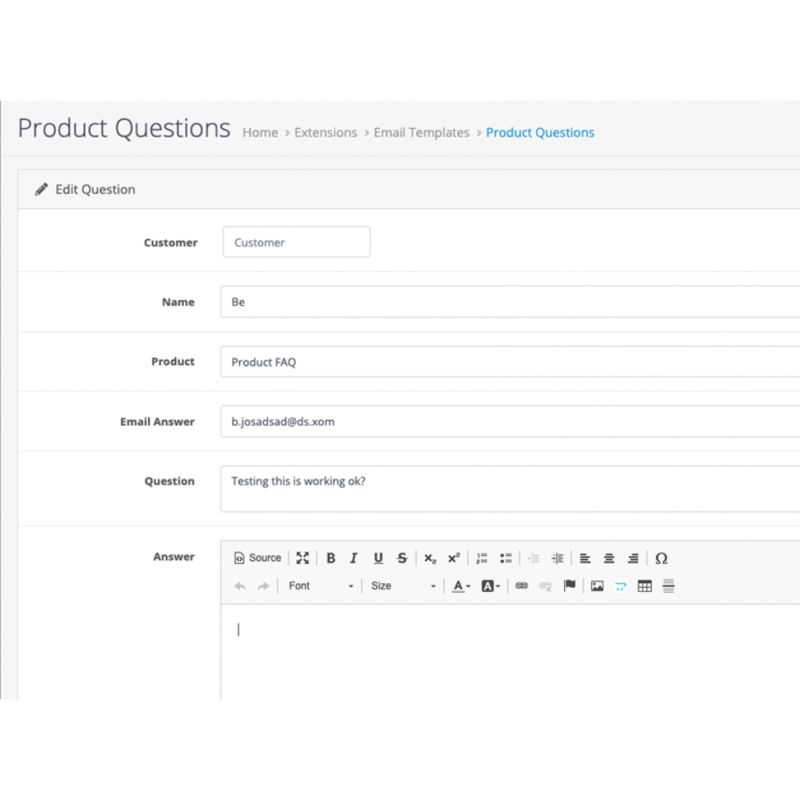 Show tab with Frequently Asked Questions(FAQs) about your products and save time answering repeat questions. 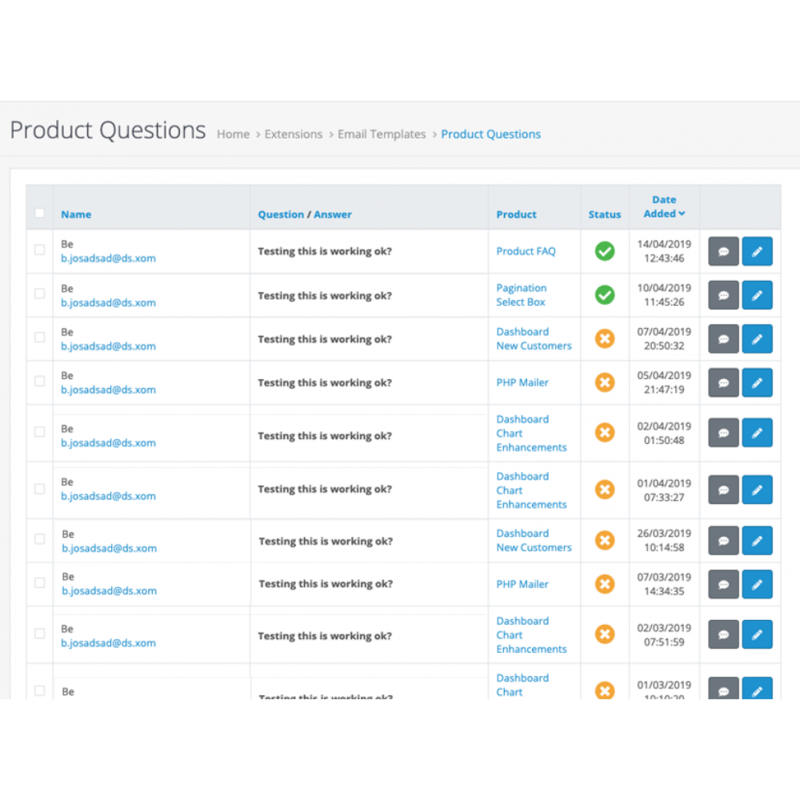 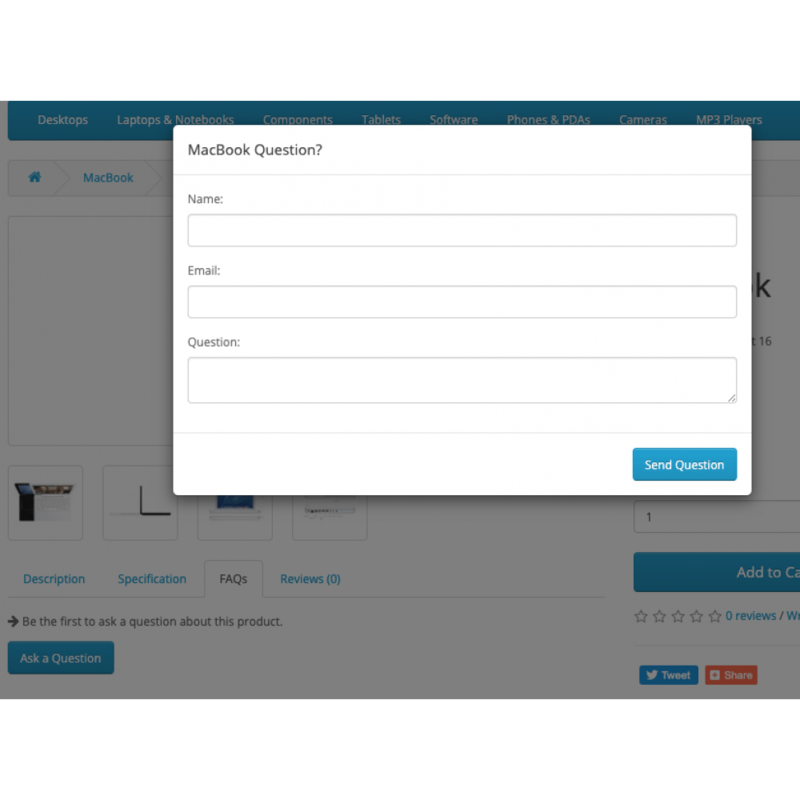 Let your customers easily Ask a Question about a product without leaving that page. 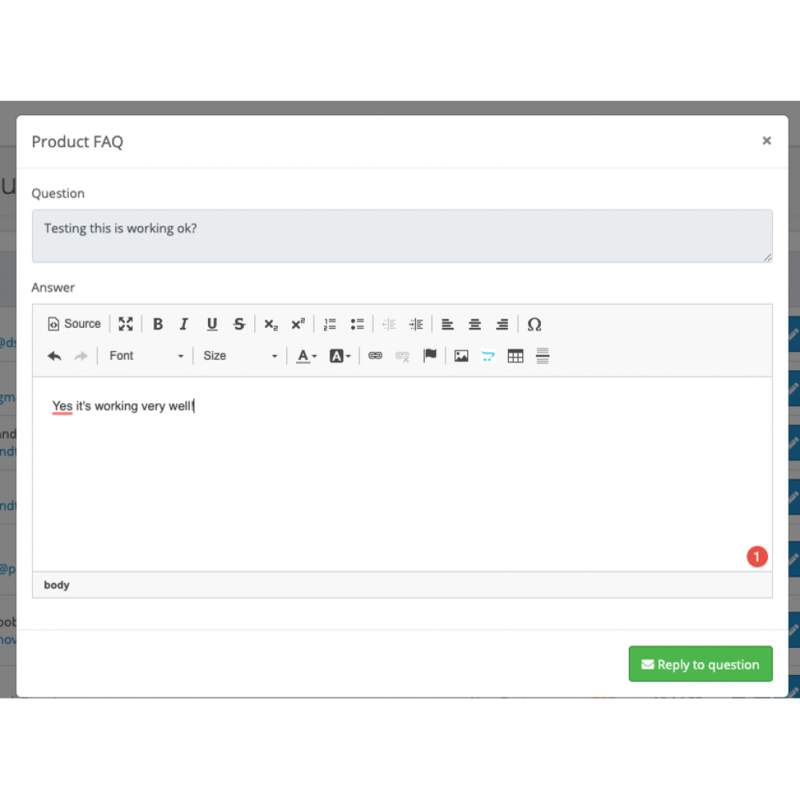 Approve quesiton to display it as a FAQ. 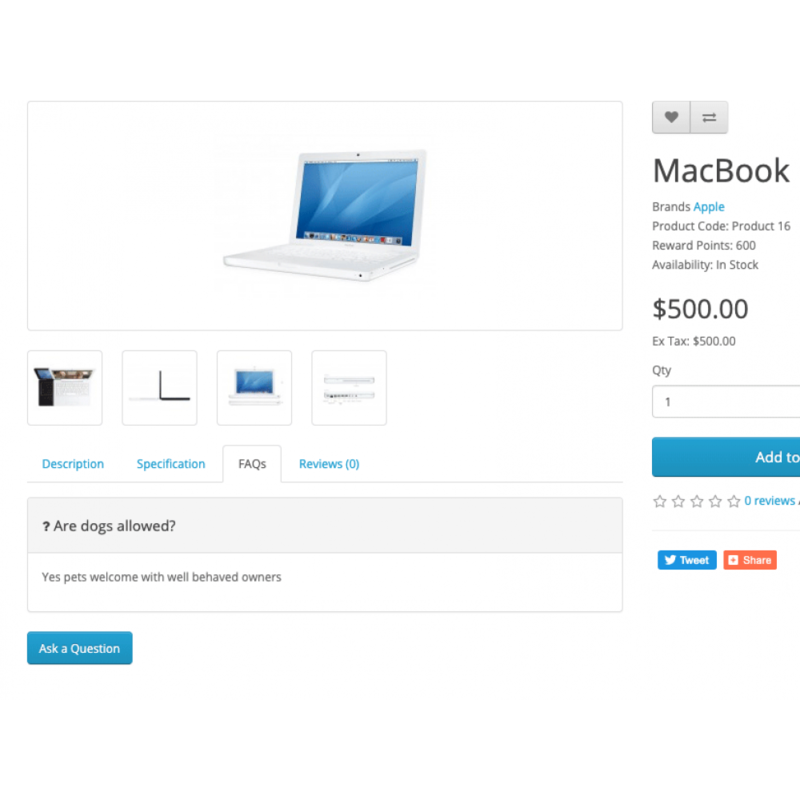 Uploading by using Opencart Extension Installer selecting *.ocmod.zip and refresh Modifications. 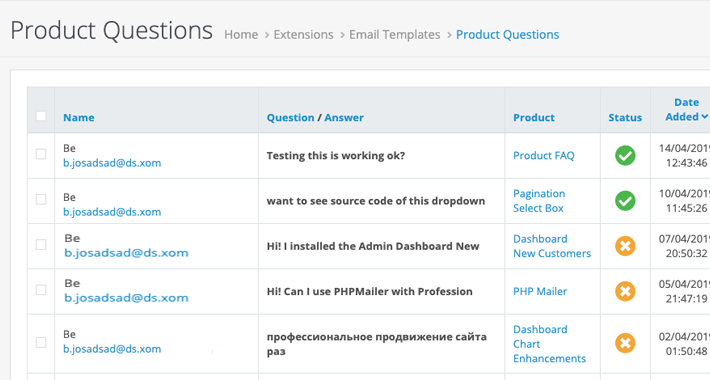 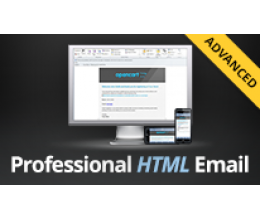 Install Module: Email Template - Questions.